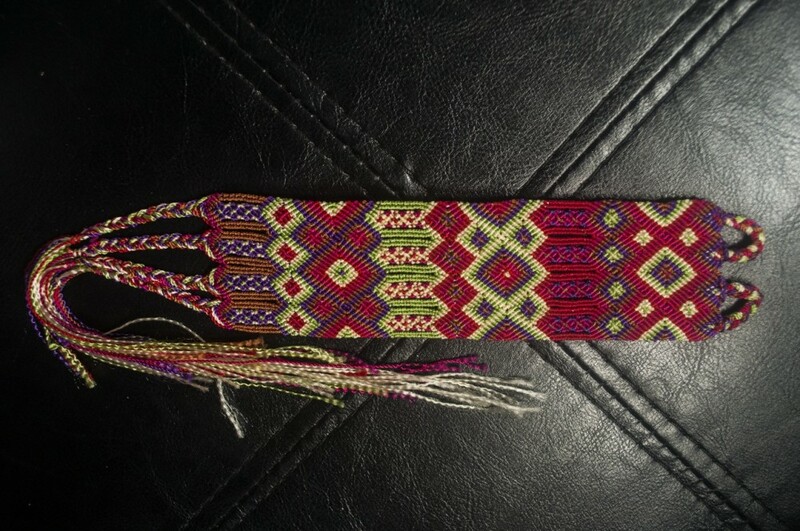 Mexican red cuff bracelet. Can be worn as an anklet also. Handmade by indigenous tribes in Chiapas, Mexico. These are all handpicked one off pieces and are purchased in market places directly from tribal indigenous artists. This fair trade is therefore supporting indigenous communities and tribes of Chiapas sustain themselves and their traditions/art. You can tie it on to the size that suits the individual and then cut the string and burn the ends to keep it securely on your wrist. You can shower and swim with this product without the rich Mexican colours fading.